Our teas are simply what nature ordered. Pure and well tended, farmers who have purposefully combined the traditional nuances of tea growing and organic farming grow them. Rich in antioxidants and flavonoids, they build body resistance and help in overall elevation of health. 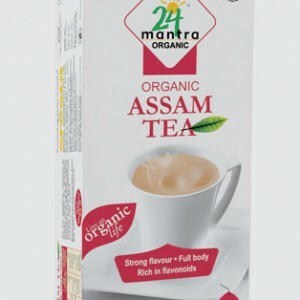 We now have Tulsi Ginger, Tulsi, Assam Tea, Green Tea and Tulsi Green Tea. Tulsi: Tulsi is one of the best-known adaptogenic herbs. Adaptogens are natural biologically active substances that occur in herbs like Tulsi. They help our cells to eliminate toxic by products of body metabolism. They help our cells to access and use more oxygen. Such adaptogens normalize our body imbalances caused due to mental, physical and metabolic stress. All in all they increase our immunity and vitality. Ginger: Ginger is very beneficial for our gastro-intestinal health. Ginger, being an excellent carminative, eliminates the intestinal gas. Gingerol, present in ginger, is a potent anti-inflammatory compound that can effectively reduce pain levels and increase mobility for people with arthritis. How to brew? Put a teaspoon of Tulsi Ginger (approx-2g) into a tea pot. Boil a cup of water (150ml). Pour the boiling water into the tea pot, close with lid and wait for 3 minutes. Strain the tea and enjoy the sips. For good benefits, avoid sugar. Addition of milk is not necessary. You can flavor the tea with honey for variety. Tulsi: Tulsi is one of the best known adaptogenic herbs. Adaptogens are natural biologically active substances that occur in herbs like Tulsi. They help our cells to eliminate toxic by products of body metabolism. They help our cells to access and use more oxygen. Such adaptogens normalise our body imbalances caused due to mental, physical and metabolic stress. All in all they increase our immunity and vitality. How to brew? 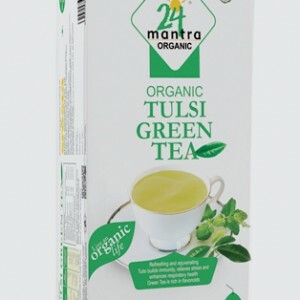 Put a teaspoon of Tulsi (approx-2g) into a tea pot. Boil a cup of water (150ml). Pour the boiling water into the tea pot, close with lid and wait for 3 minutes. Strain the tea and enjoy the sips. For good benefits, avoid sugar. Addition of milk is not necessary. You can flavor the tea with honey for variety. 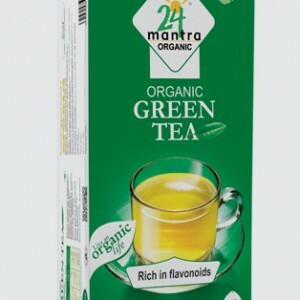 Green Tea: Green Tea is rich in antioxidant flavonoids, including catechins. The most abundant catechin in green tea is epigallocatechin-3-gallate (EGCG). This compound is largely responsible for the antioxidant, LDL lowering and anti-cancer properties of Green Tea. These catechins also stimulate the burning of fat in liver and muscles, thus aiding in weight loss. How to brew? Put a teaspoon of tea (approx-2g) into a tea pot. Boil a cup of water (150ml). Remove from fire and set it aside for a few seconds. Pour the boiled water into the tea pot, close with lid and wait for 2 minutes. Strain the hot Tulsi-green tea and enjoy the sips. For good benefits, avoid sugar. Addition of milk is not necessary. You can flavor the tea with honey for variety.